From The Compound: Christmas Cookies...Yum! With Thanksgiving and the Stephenson Family cold (a.k.a The Snot Pocket Virus) out of the way, we are gearing up for Christmas. This week we put up the tree, made some cookies, and considered getting the pumpkins off the front porch!! Then an ice storm came and cemented the pumpkins there until spring. Beat that Martha Stewart!! The cookies turned out really yummy. Notice, I didn't use the word pretty! 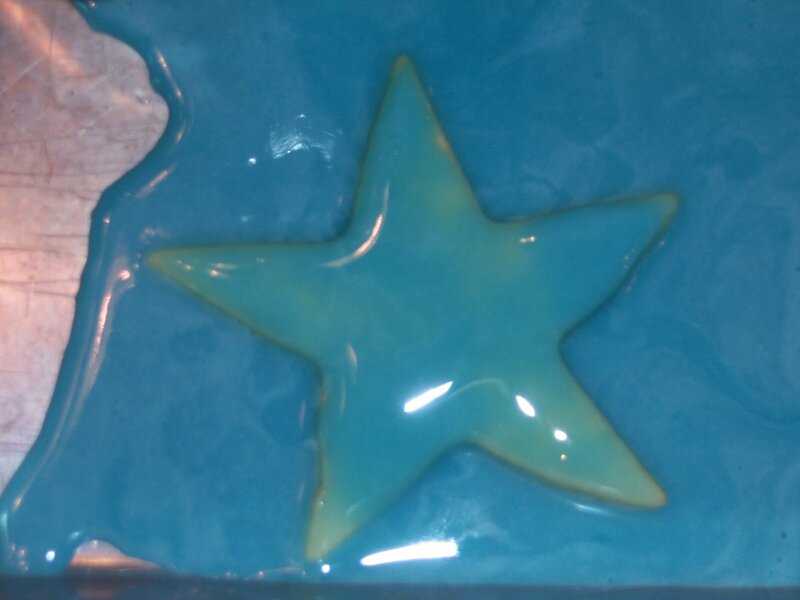 I included a picture of the star that Sophia drown in icing. Honestly, the color we made looks really cool. Kind of Tiffany box blue. Since, I've made one batch of cookies, I have already out done last years Holiday Baking. Well, I better go replace the Halloween flag in the yard with the Christmas one. Hey, maybe on St. Patrick's Day when I take the Christmas flag down, the pumpkins will be thawed and ready to go too! Keep your fingers crossed!